Jean-Claude Trichet, former head of the European Central Bank, has established the idea that Brexit will have a huge economic impact on Britain, rather than the European Union. Statistics show that the EU’s economy is worth approximately $13tn, in contrast to the UK’s $2tn. He mentioned, “If I take the EU as a whole and compare the GDP of the EU to the GDP of the UK, you see there’s a small portion which is the UK.” Two main reasons were brought forth as this discussion carried on: ‘New World’ and ‘Rising Debt’. Although people who support Brexit argue that new trade links can be made through fast-growing markets, according to 2016 statistics, the EU is the UK’s biggest trading partner, accounting for nearly half of all its export. 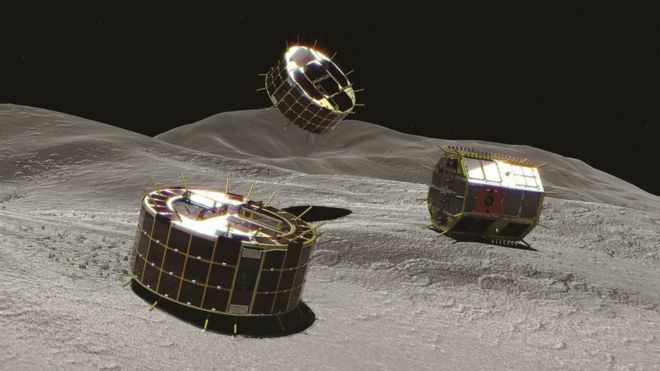 Japan’s popular space agency ‘JAXA’ may successfully witness the landing of two robots, named Rover 1A and Rover 1B on an asteroid, making history. These robots have been reported to be sent to record temperatures and capture photographs of the asteroid’s surface. This proof will be sent to the spaceship, which will then pass on the data to the agency on Earth. The space agency hopes it will be successful as this would be the first time spacecraft has placed robot rovers on an asteroid. JAXA aims to discover more about the formation and origins of Earth through the evidence provided by the robots. Furthermore, the agency intends to send an explosive device which aims to destroy part of the asteroid’s surface and collect samples of rocks that have not been affected by radiation and/or matter in space. These samples will be sent to Earth for further investigation and research by 2020.